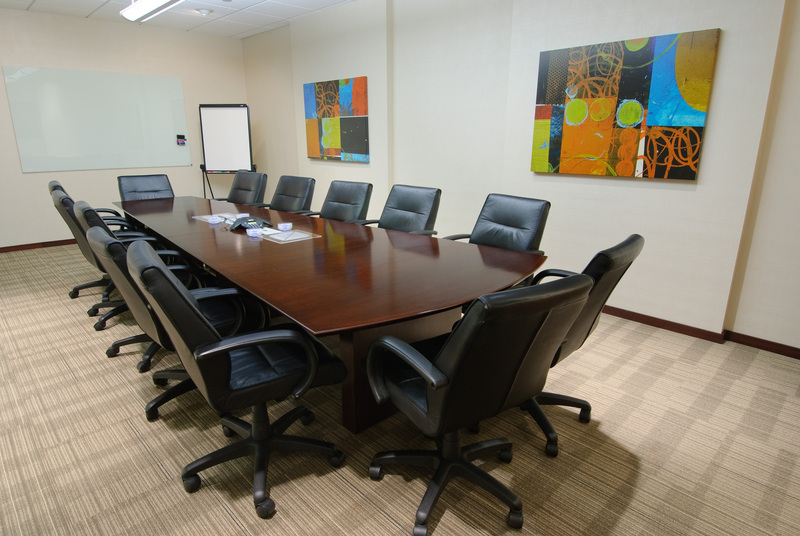 Conference room facilities flexible enough for large meetings or just a small team. 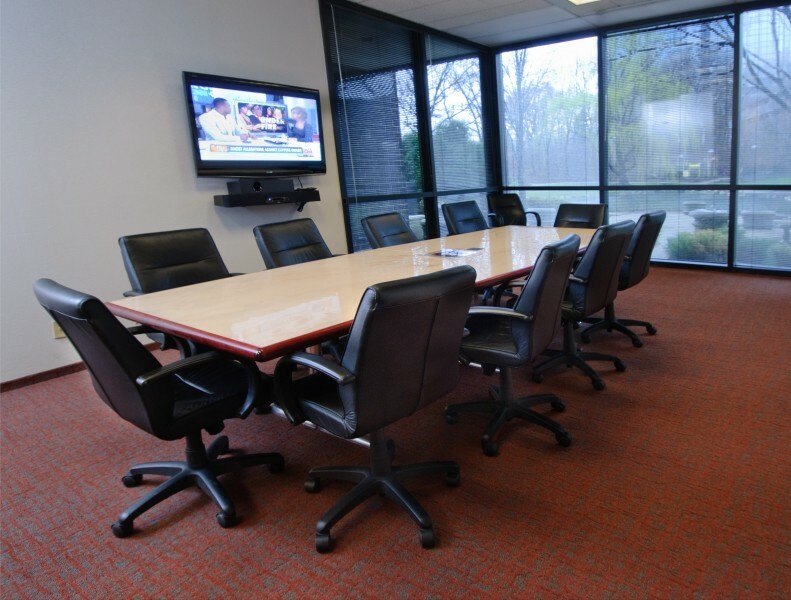 Normandale Lake Office Park provides nine conference room facilities for Tenant business use. Details and capacity for each room are below (click for larger image). If you would like to reserve a room, please check with your office manager or facilities director. They have been authorized to reserve a room that meets your needs. In the Reason for Reservation, please include the meeting name, contact name and phone number, attendee number, room setup requested and any other things needed (review the rooms below for photos and what each room includes). IMPORTANT NOTE: We do supply USB, HDMI, VGA cords. With many different laptops/hookups out there, it’s always a good idea to find a time to test your equipment prior to your meeting to ensure you have what you need and all is working properly. 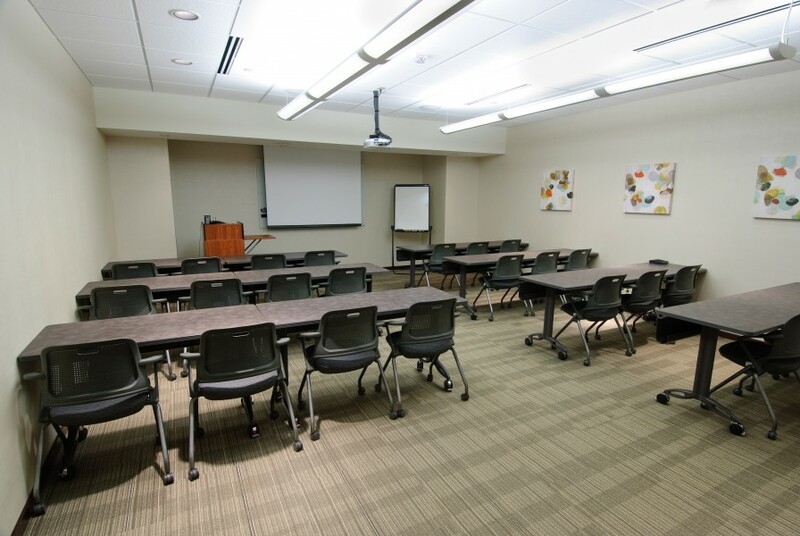 Both a large classroom for groups up to 99 and a traditional conference room for groups up to 14 are available. There is a kitchenette situated between the rooms. They are both located on the building’s second floor (skyway level). 8000 Tower Classroom has a ceiling-mounted projector for use with your laptop computer, drop-down screen, podium with DVD player, wireless internet, microphone, overhead speaker system, movable Polycom phone, two large white boards and dry-erase markers. The room can accommodate 99 people lecture-style (chairs only) and 60 classroom-style (tables & chairs) or put in the Reservation if you have a special set-up. Also include in that area if you need any easels, flip chart stands (paper not provided), extension cords (power strips not provided) or extra tables or chairs. 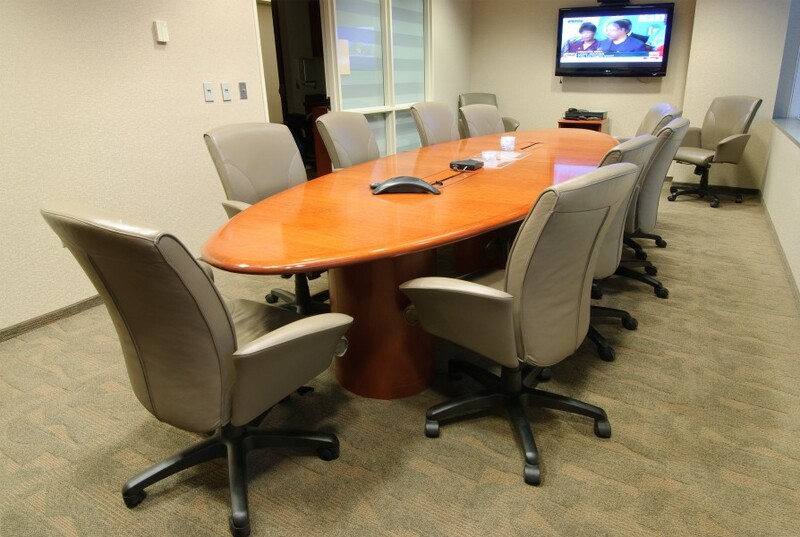 8000 Tower Conference Room is a traditional conference room that will seat up to 14 people. The room has wireless internet, cable TV/DVD player with laptop hookup and a movable Polycom phone. Also include in the Reservation if you need any easels, flip chart stands (paper not provided), extension cords (power strips not provided) or extra tables or chairs. One traditional conference room with an adjacent coffee area is available. It will seat up to 14 people. The room has large whiteboard, wireless internet, cable TV/DVD player with laptop hookup and a movable Polycom phone. Layout can either face the television or whiteboard so please note that in the Reservation box. One traditional conference room with an adjacent coffee area is available. It will seat up to 14 people or 24 adding additional folding chairs. The room has wireless internet, cable TV/DVD player with laptop hookup and a movable Polycom phone. A large training room for groups up to 92 and two traditional conference rooms (North/South) for groups up 12 are available. 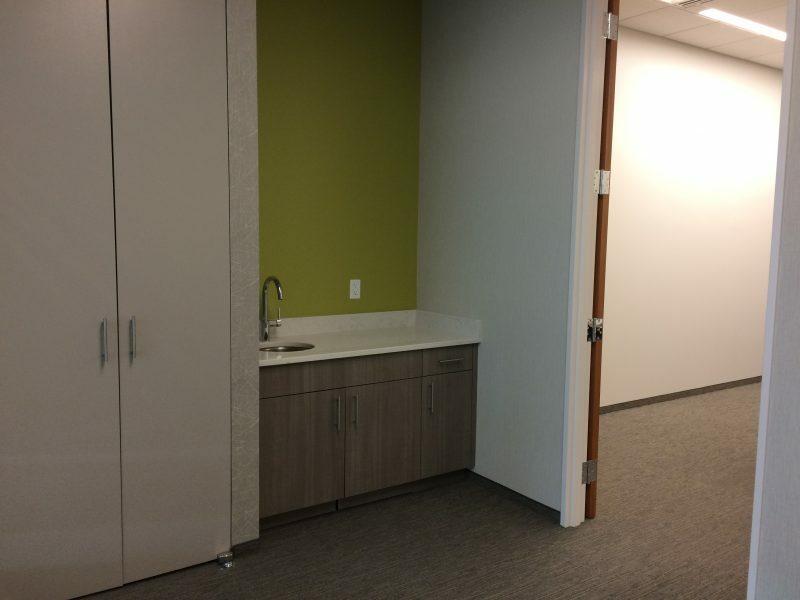 There is a kitchenette situated adjacent to the large training room. All are located on the building’s first floor by taking the elevator from the second floor lobby. 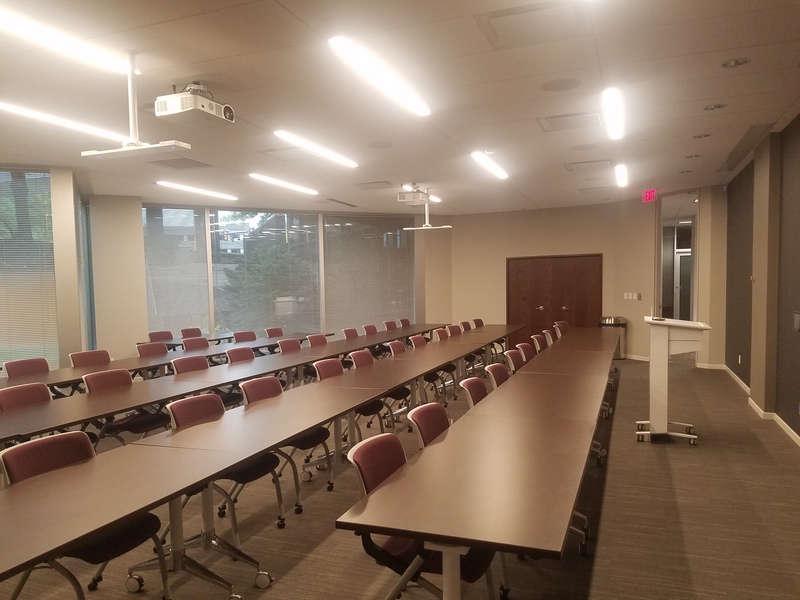 8400 Training Room has dual laser projectors and dual 110″ projections screens, wireless microphone, audio conferencing system with in-ceiling mics, integrated control touchpad, touchpad dialer for conferencing, ClickShare, wired internet, wireless internet, podium. 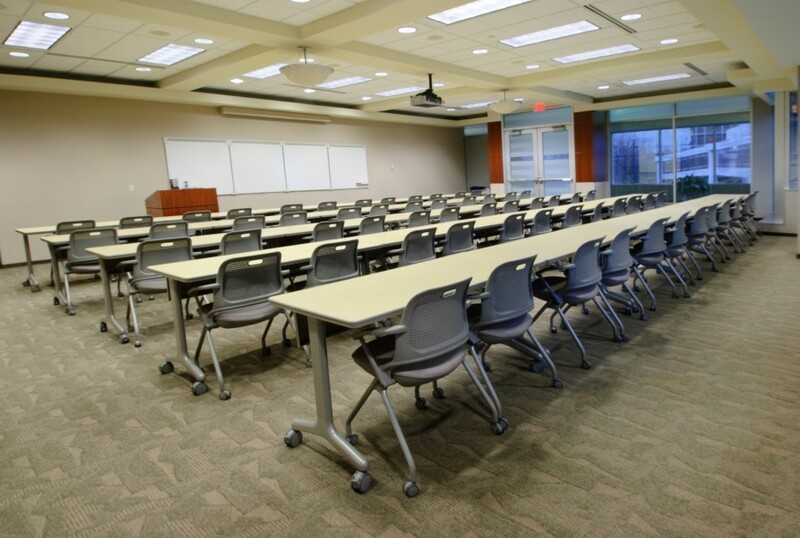 The room can accommodate 92 people lecture-style (chairs only) and 60 classroom-style (tables & chairs), or put in the Reservation if you have special set-up needs. 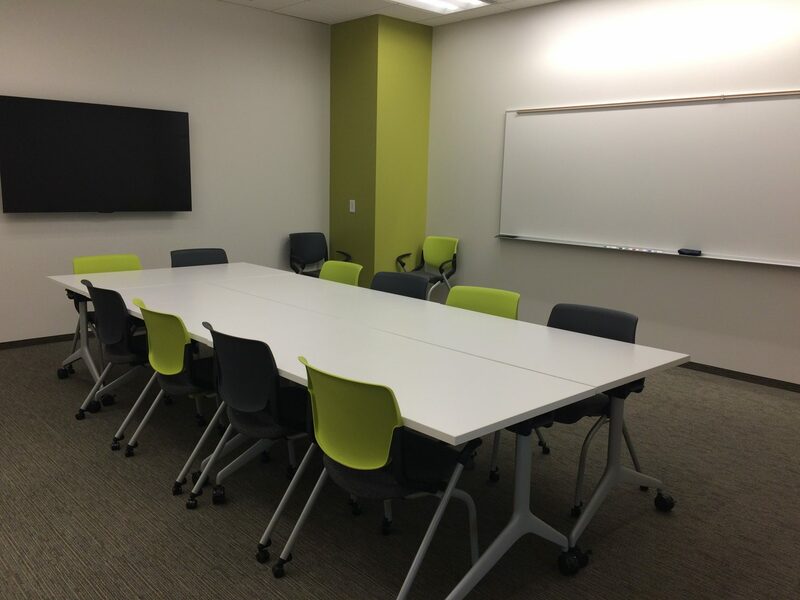 8400 North Conference Room will seat up to 11 people around the table and extra chairs can be added to accommodate 24. 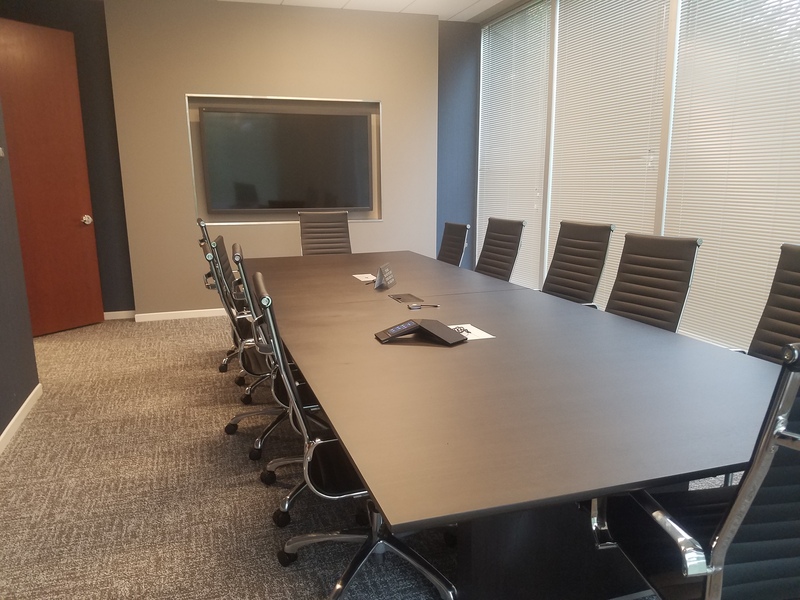 The room has a 75″ 4K commercial display, control keypad in table, HDMI/wired network port in table, wireless internet, Click-Share, Polycom conference phone, sound reinforcement with ceiling speakers. 8400 South Conference Room will seat up to 12 people around the table and extra chairs can be added to accommodate 24. 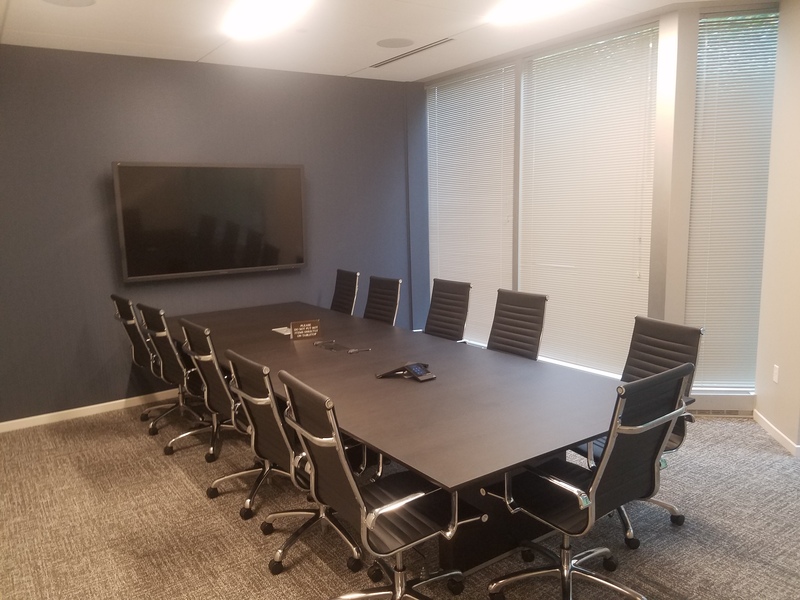 The room has a 75″ 4K commercial display, control keypad in table, HDMI/wired network port in table, wireless internet, Click-Share, Polycom conference phone, sound reinforcement with ceiling speakers. A training room for groups up to 24 and a traditional conference rooms for groups up to 14 are available. There is coffee bar/serving area between the rooms. These are located on the lower level of the 8500 Tower. 8500 East Training Room has a ceiling-mounted projector for use with your laptop computer, drop-down screen, podium with DVD player, wireless internet, microphone, overhead speaker system, movable Polycom phone, whiteboard and dry-erase markers. The room can accommodate 24 people and also has a serving counter in the back. Also include in your Reservation if you need any easels, flip chart stands (paper not provided) or extension cords (power strips not provided) or any extra tables or chairs. 8500 West Conference Room will seat up to 14 people. The room has wireless internet, cable TV/DVD player with laptop hookup, a movable Polycom phone, and a large whiteboard with dry erase markers.